The cat’s out of the bag on the 2016 Nissan Murano. With a mighty engine capable of promising top-notch performance, awesome amounts of horsepower, astounding levels of fuel efficiency, and also offering a collection of driver assist programs as well, the Murano gives drivers one unbeatably powerful vehicle. At the same time, it comes equipped with a wide range of technologies to keep you and your passengers entertained and engaged on every drive. But here’s the thing: the Murano also gives you an assemblage of safety devices as well, designed to keep passengers ad yourself protected and secure. Let’s look at some of the these in detail. 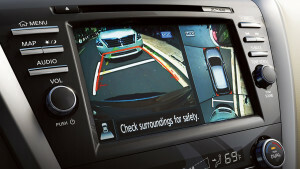 With its Predictive Collision Warning System, the Murano is able to scan the area in front of it and judge whether any collisions are imminent, alerting you to them and allowing you to avoid them more easily. 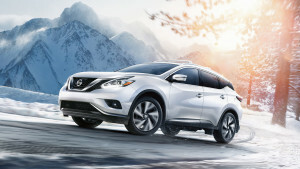 This system enables your Murano to remain stable at high speeds on the highway, helping to maintain your safety by preventing loss of traction or control. With Rear Cross Traffic Alert, the Murano can tell when another vehicle is about to cross your path from behind, enabling you to avoid it before a collision occurs. Blind Spot Warning indicates to you when another vehicle is presently in your Blind Spot, thus making it possible for you to keep abreast of the situation around your car. Finally, the Moving Object Detection system provides yet another layer to an already powerful safety system, allowing you to keep an eye on all moving objects in your general vicinity. Best of all, you can test drive the 2016 Nissan Murano yourself by stopping by our Sorg Nissan dealership anytime located at 2845 Detroit Street in Warsaw. We can also be reached online or by phone at 574-267-5850. When it comes to safety features, it’s important to get the lowdown on them in as much detail as possible, so we encourage you to give us a ring or a visit today to experience all that the 2016 Nissan Murano has to offer.